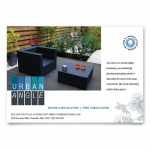 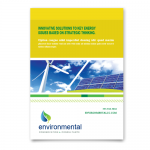 We produce a variety of leaflets, in different sizes on different materials. 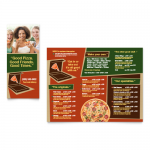 Our standard leaflets are printed on a premium 150gsm gloss paper, a light weight alternative to the heavier leaflets; ideal if you are distributing by hand or sending via the post. 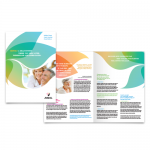 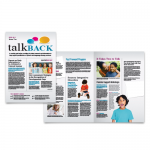 A3 leaflets folded down to A4 size or known as 4pp A4 makes for a great newsletter or product bro..
Our A4 folded leaflets offer great value for money, printed on a premium 150gsm high white gloss,..
Our A4 leaflets (210mmx297mm) are printed in full colour on either one side or both sides on a ri..
A4 leaflets folded down to A5 size or known as 4pp A5 makes for a great newsletter or product bro..
Our A5 leaflets (148mmx210mm) are printed in full colour on either one side or both sides on a ri..
Our A6 leaflets (105mmx148mm) are printed in full colour on either one side or both sides on a ri..
Our DL leaflets (99mmx210mm) are printed in full colour on either one side or both sides on a ric..